KuBitX is one of the most advanced and strong cryptocurrency trading platforms that has been designed with Simple and Accessible ideas to empower and educate people of every kind to teach them the technological revolution and give them an easy opportunity to invest in cryptocurrencies. After developing the strong trade engine, an Ambassador program will be initiated to spread awareness among people and to let them embrace the adoption of cryptocurrencies. The vision of KuBitX is to simply educate people from emerging markets of developing countries and engage them with the current cryptocurrency ecosystem. 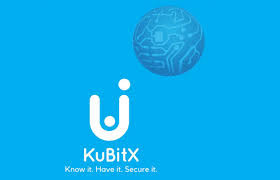 KuBitX aims to make the countries, that have been just following the more developed countries in the technological development that has been going on for a very long time, a part of this development with their contributions.